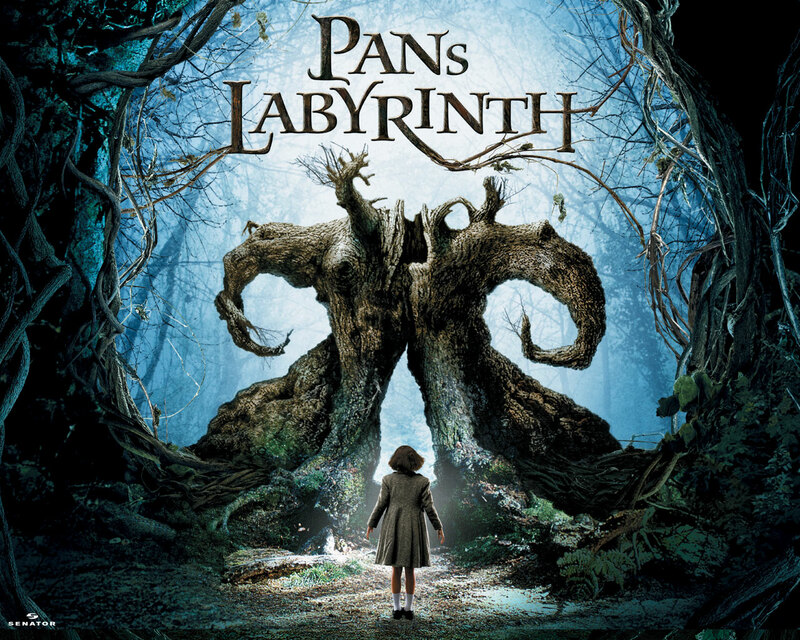 Pan’s Labyrinth is a carefully crafted blend of real-world life in the home/ military compound of a sadistic captain, and the dark fairy tale underworld that reaches out to the 11 year old Ofelia. Set in the countryside of Spain in 1944, the movie opens with Carmen and her daughter Ofelia being driven to the the compound of her new husband, Captain Vidal. Carmen is pregnant and not well, it is clear from the first time he appears on screen, that his only interest with Camen is as a vessel for his soon to be born son. Her daughter, Ofelia, from her prior marriage to a now dead tailor; it at best an annoyance to the captain.